The Lady Eve's Reel Life: Happy 80th Birthday, Edna May! Edna May Wonacott, who turns 80 today, was born in the town of Willits in Northern California in 1932. She spent most of her childhood to the south, in Santa Rosa, where her father was a grocer. When she was nine years old a twist of fate occurred that changed her life forever. Edna happened to be waiting at a bus stop in downtown Santa Rosa when she encountered director Alfred Hitchcock and producer Jack Skirball. 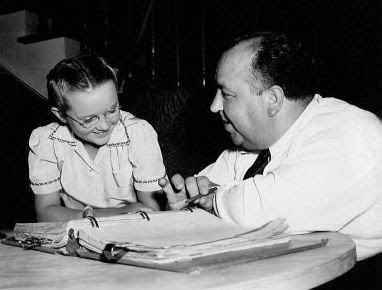 Hitchcock, who would be shooting much of his next film in town, thought there might be a part in it for the pig-tailed, bespectacled young girl whose curiosity captured his attention. Two years ago, on Edna's 78th birthday, I posted the story she told me of her fateful "discovery." 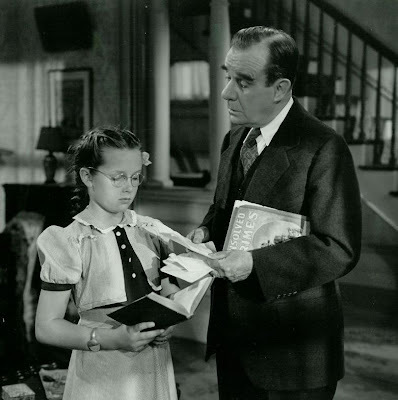 She and I had talked at length about what transpired on that day, what it was like working with Hitchcock on Shadow of a Doubt, as well as her memories of working on Leo McCarey's The Bells of St. Mary's (1945). Click here for the full interview. We've stayed in touch since, and last January just before her 79th birthday, Edna brought me up to date on her life during the intervening year. It was a busy year - a year of letters and autograph requests from fans who'd seen our interview online or when it was published in her local paper or when it later appeared in Films of the Golden Age. She'd been active in other ways, too; in fact, she'd been a very busy lady. 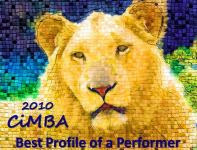 Click here to find out what interesting turns Edna's life took during 2010. Today, as Edna turns 80, I'd like to wish her an especially happy birthday and wish her many, many more. Thank you, Edna, for sharing your memories. What a great addition to Hitch history. Edna gives one of the best performances from any young actor and it's great to read how she got the part, talk about "meet cute." Thanks for sharing and happy birthday, Edna. What an amazing journey. Happy Birthday Edna!! Have a wonderful day! Happy Birthday, Mrs. Green/Edna May. Thank you to Lady Eve for sharing your many fond memories of working with Hitchcock, meeting Joseph Cotton and spending time with Patricia Hitchcock (from the articles posted previously). I have only seen “Shadow of a Doubt” and “Bells of St. Mary,” but I always enjoy seeing Edna May in her roles. I was trying to think of a younger child actress who appeared in one of Hitchcock’s films. Jerry Mathers was perhaps younger when he appeared in “The Trouble With Harry,” but in her role as Ann Newton, I believe Edna May was the youngest of the Hitchcock ladies. Edna's reaction to turning 80: "I have to admit I don't feel like 80! I haven't felt this good in years...I'm still getting fan mail. Got one the other day from Germany!" I just loved this so much I hustled home to rewatch SHADOW and Wow, it's such a great Hitchcock! I had forgotten many of the scenes and it swept me up. Thanks for the reminder, Lady Eve...terrific! My lunchtime reading today will be the catch-up on Edna! A belated very HAPPY BIRTHDAY to Miss Edna and many more to come! Happy Birthday, Edna! You were the smartest one in the house in "Shadow of a Doubt"! Happy birthday to Edna! So happy TLE and Edna are in touch, which provides us with a link to the great Hitchcock. Hope it was a great birthday, Edna! SHADOW OF A DOUBT is one of my ultra favorite Hitchcock films. Happy Birthday Edna! You were Super in all your roles. Why did you quit acting?